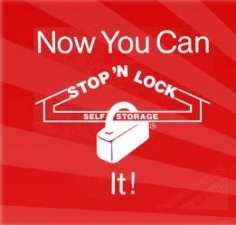 At our Stop âN Lock II facility in Allen Park, MI, we are dedicated to meeting all of your business and personal storage needs. Our facility features both standard, drive-up storage units as well as interior, heated units. We are locally owned and operated! We take pride in offering competitive rates and professional, friendly on-site managers to assit you with all of your self storage needs! Very nice and went the extra mile. Very nice and friendly. They went out of the way to accomadate us. Nice place to store a few thing for a little while, till you get mioved. Easy to fine, grounds are clean, customer service excellent and very helpful, rates are reasonable. I like it. Office staff was very helpful. This was my first time renting a storage unit and she was very informative and helpful. Very old and slightly out dated. I had to get a larger unit. The 5x5 was slightly smaller than advertised and my mattress was exactly 60 inches. The computers were down and I didn't receive my gate code for an additional 3 days. The employees working there are very helpful and try to accomodate you. It was nice to see the security for the storage area. Great experience and excellent pricing and friendly staff. Super nice staff let me come and look at sizes days before and leased. We're super nice and friendly towards everyone. Very friendly owners. They are helpful. Explained everything. The owners are very nice. They try to help as much as possible. We needed a quick spot to store our car, and Eileen and Ken were very helpful. They helped us find a place to suit our needs and have been friendly. Owners are very nice and helpful. Prices on units a much better deal than other nearby, would diffinatly recomend. You get exactly what you expect. They can sell you a lock or an insurance policy if you want one but they don't force it on you. Extremely helpful. The office woman was ready to help as soon as we walked into the door. The manager here was very helpful and clear. She explained all my options to me, including the insurance available to me, without trying to force me into any extras. Location is very convenient. The manager communicated very clearly and made sure I got the AAA discount. Very detailed information. My wife and I put everything in a storage unit last week. IT was a great experience. Everything went smoothly. Eileen is a treat to work with. She's friendly, professional, and reassuring. Also gave good advice, and was very accommodating. Great location, secure and easy access. Friendly staff. The units are clean and good shape. They were really helpful and accomodating. Office staff are very friendly and helpful. Location is close to two different freeway. This place was fast clean and helpful. Considering I was moving across country. They worked with me so that I could pay my rent remotely with my debit card. Plus the lady who helped me was super nice. Smooth and friendly service. Great thus far. friendly and helpful employees with everything we needed when we needed it! As above....It has been a great experience so far with Stop & Lock.... with friendly and helpful employees....Easy to enter and exit....close to home. Ilene is professional kind and so helpful and informative. The facility is well maintained and clean. They made my move so much easier and for me . it was seamless. 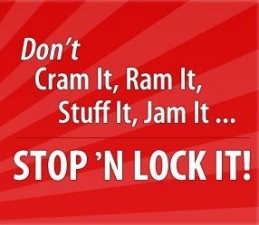 Since i was relocating from the west coast to the Midwest - it was stressful but the helpful staff at Stop N Lock made me more at ease about everything. A++ service. Units at facility are clean and solid. I have used this facility in the past. 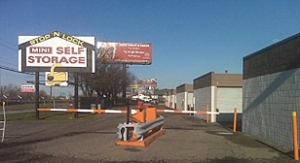 The prices are less than other storage facilities in the area. I have found the service to be efficient. Although it is an older facility, the units are clean, solid and dry even during times of flooding. I am a satisfied customer. 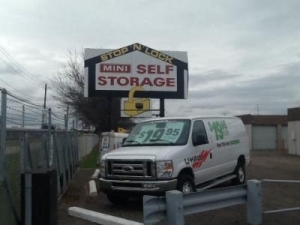 This is a great location to drop off the U-Haul we rented in Indiana and to conveniently store our items - one stop shopping!!! I have rented a unit here on and off for the past 20 years and have had very good service. Same as below. The customer service was top notch! I was very pleased with the prices and the customer service care given by the lady behind the counter. She was polite, informative and very helpdul. She answered all my questions, was courteous and made me feel very welcome. Don't like that there is no fence behind the facility thoufh, nor did I see any cameras. I would return and recommend this place based solely on the customer service. Great Location, service was quick and smooth transactions.. AAA discounts was Great! Price was nice, units are large and clean. The manager and her team are very nice, friendly, and family oriented. Fast, accommodating, great people.I've stored with many other places before, this has been one of my top experiences. Good location and easy access to unit. Very polite and curtious upon move in. it was a very friendly and welcoming process! The staff made it an easy choice and less stressful than any other place around! The lady I talked to was very Awesome and very understading so much. You need more people in this world like the women that works at the place I am going to a great great women.If I do win will offer atleast $100.00 dollars of that money honest thats how good she is Ty. Smooth Transaction. Nice couple to work with. Great experience. Very helpful with everything. I had very pleasant experience while fifilling out paperwork and storing my items. The owner called me as soon as she received my reservation to give me directions to their location. She was thorough and helpful upon arrival and very nice. The unit was clean, there were pallets inside that I could use and more available as well as a dumpster. Would definitely recommend. Pleasant experience. I needed a very cheap storage unit and this is the only one close to me that doesn't cost an arm and a leg. The woman on the phone was helpful and so was the older woman who owns it. She was kind and helpful. Very pleasant and professional. I liked the experience. Answered my questions perfect/clear. Really friendly and helpful staff. Move in was very easy. The managers of the property were very friendly and personable. I will make sure I recommend people for this property. If there box to check with a 10, I would of. The happiest two people I have ever meet. Very helpful, explained everything to me. Very reasonable rates. Woman Ilene called me immediately and was very polite. Very pleasant. Very easy. With explanations about the facility. Great facility. Clean, affordable and up to date. I love the hometown feel you get with this facility. These two are the best. Every time I'm here I have always received the utmost of professional treatment. The proprietors seemed to be efficient. It's an older facility, but it was fairly clean and seemed to be dry and secure. very good- very pleasant & helpful! I called Eileen at the facility and she assured me that they had a unit available in the size I needed. I asked a few questions that she quickly answered and I told her that I would be in the next day to pay for the unit. She told me that she wouldn't be there but anyone would be able to help me. She was so pleasant on the phone that I decided to go the same day so that she could help me. I am glad I did. Eileen was so nice and explained everything to me thoroughly. She even went outside with me to show me where my unit was located, and which gate to enter and exit. Great experience, right price, nice, sweet lady! Ilene was very helpful and kind! Good experience! Would definitely recommend to others. Alot better pricing compared to other facility that I checked. Reserved by daughter & we both have wonderful experience!!! Very happy !!!! I liked the fact they had pallets in the storage unit to get items off the floor. Ive used storage units throughout the country and i really couldnt ask for better especially concerning the customer service. The staff was very friendly yet stern and informative. An excellent experience.